Listed by Gartner in the "Magic Quadrant for CSP" and by Forrester in the "Forrester Waves™ for ECM"
Enterprise Content Management with SER! When a company aims to set new standards in its industry, “good enough” is never good enough. It has to take its customers' objectives and make them its own. It has to create technology and products that determine the course of technical development instead of just following it. The Doxis4 iECM Suite's modular structure combines capturing, electronic archiving, document management, eRecords, collaboration functions, and task and business process management on a single, standardised, service-oriented enterprise content management platform. 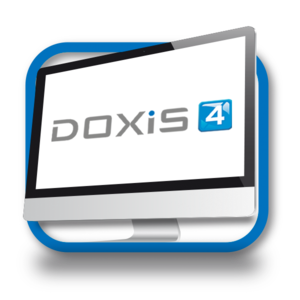 Doxis4 enables employees from all sites across the entire company to capture, manage, process, control, archive (in an audit-proof manner) and re-publish all information at any time, no matter what source or format it uses. Doxis4 solves all the challenges posed by vertical document-based information systems by providing access to all functions and information without redundancy. For more intensive integration, an open API architecture enables Doxis4 to be integrated into all business applications (ERP, CRM, HR, etc.). Experts estimate that up to 80% of company data is unstructured. By making this data available, ECM ensures that all information and documents can be used efficiently throughout the company. Users can make valuable savings of up to 30% of their time as a result of having quicker and easier access to information. What's more is that productivity increases significantly as a result of automating workflows and integrating information provisions into existing systems. Automated processes guarantee quality standards as well as ensuring compliance with legal specifications and regulations. A sustainable approach to the future relies on people not only managing information, but actively using it. And with Doxis4 providing the “return on information” (ROI) that is an absolute must for the information technology of today, it is clearly the ideal solution. From electronic archiving, document management and eRecords right through to business process management (BPM), the Doxis4 iECM suite offers a complete enterprise content management system on a single, standardised technology platform. Of these, the most common areas of application include electronic archiving and document management, contract and staff record solutions, automated inbound mail, and inbound invoice processing. And on top of all this, we have a whole host of additional ECM solutions available, so visit Products & Solutions to find out more. Doxis4 functions as a company platform which also offers departmental benefits. What this essentially means is that it finds applications across different departments and sites to handle paperwork-heavy business processes and make all relevant information available for business processes. Audit-proof and legally compliant archiving, filing system management, virtualisation, ILM. Management and processing of “live” documents, team tasks (collaboration), versioning, annotations. Universal record solutions, information cockpit, dynamic folder, classification schemes, staff records, contract records, customer records and much more. Automatic inbound communication processing of post, faxes, emails, and specialised solutions, e.g. for invoice processing. Electronic processing, workbaskets for groups and individual employees, complex workflows, ad-hoc workflows. ECM for Microsoft Office and SharePoint, SAP, MS Dynamics NAV and AX, universal interface for integrating into all system environments. Randstad, the leading employment services provider in Germany, introduced the Doxis4 archive to archive more than 27 million personnel documents from the leading SAP Folder Management system. Every year, the Weidmann group processes around 100,000 invoices for goods and services all over the world using the Doxis4 InvoiceMaster. Our team comprises 550 employees with over 2,000 projects worldwide. Through our commitment and dedication, SER has become Europe's largest software vendor for enterprise content management (ECM)*. Our aim is to shape the office of the future, making it simpler, more efficient and more successful. And with over a million people worldwide already experiencing the benefits afforded by our solutions on a daily basis, we are well on our way to achieving this. The SER sales division is made up of a strong and dynamic team. 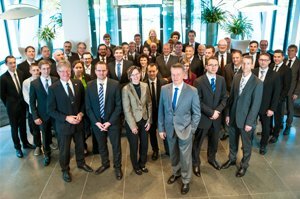 Over 50 experienced salespeople offer consultancy services and support both to SER customers and new prospects across Germany, Austria and Switzerland. With 170 employees throughout Europe working hard to bring your ECM projects to life, the Professional Service division is SER's largest individual business area.